You’ve seen the Razer Forge TV and one half of the accompanying peripheral, the Razer Serval. 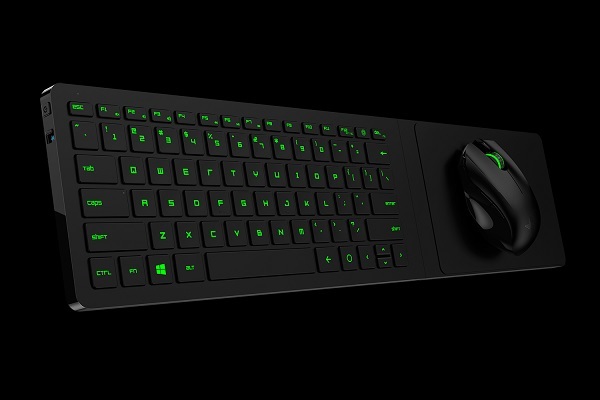 Completing the other half is the Razer Turret, a wireless lapboard and mouse combo that is intended to bring the keyboard and mouse to the couch. 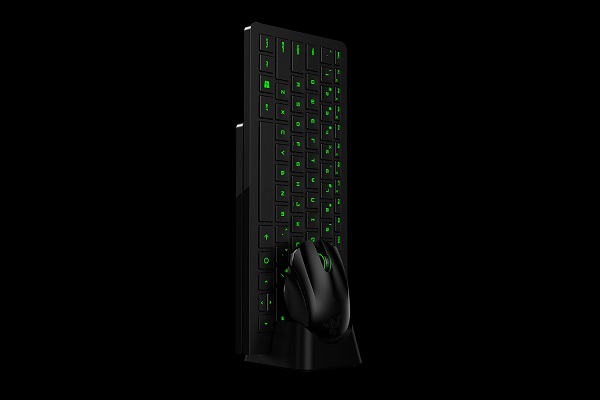 The Razer Turret’s wireless lapboard is a chiclet keyboard with a foldable hinge that acts as the wireless mouse’s surface. In order to ensure that the mouse does not fall off, the mouse mat is actually magnetised. Whether the magnetic field affects the performance of the mouse would be very interesting to discover. The wireless mouse itself is a 3500 DPI laser mouse that boasts an ambidextrous design. However, here’s the issue: although the ambidextrous design means that the mouse will be comfortable for left or right-handed use, the foldable hinge cannot be removed to the left side of the keyboard. In terms of battery life, the lapboard apparently has a whopping four months of battery life while the mouse can last for 40 hours of continuous use. Both peripherals are rechargeable with a rather sleek charging dock. A wireless 2.4ghz adaptor is also provided alongside the Razer Turret for the peripherals to work with a PC. 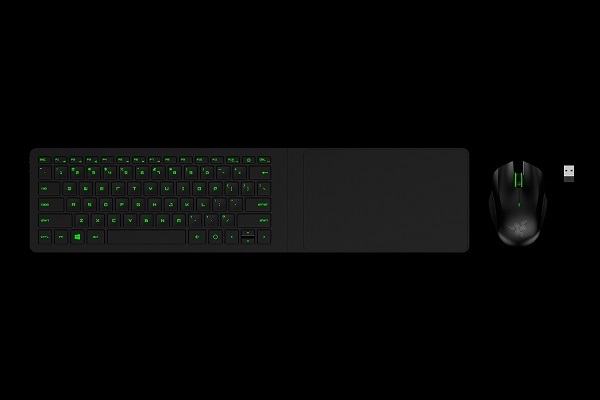 The retail price of the Razer Turret is US$130 (about RM465), which is a pretty high price to pay for a non-mechanical keyboard and mouse combo. Just like the Razer Forge TV and Serval, it will be available in the first quarter of 2015. For more information, visit the official product page.